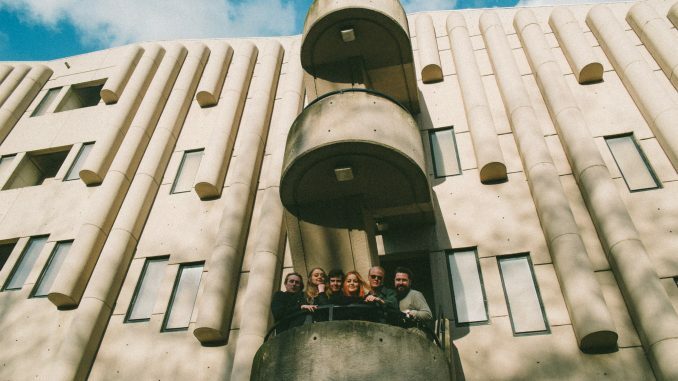 Building on the hype surrounding debut release Mother earlier this year, Leeds sextet Talkboy share their second shimmering offering Over And Under. An explosive burst of anthemic rock, the band’s follow-up track showcases a whole new layer to their distinctive sound with intense harmonies and potent guitar work drawing further comparisons to indie heavyweights Alvvays and The Big Moon. With momentum growing outside of their native Yorkshire following accomplished displays on the festival circuit and support slots alongside Our Girl and Bully, the six-piece look well-placed heading into a promising 2019 with two singles down and plenty new material to come. Discussing Over And Under, guitarist Tim Malkin stated: It’s no secret that we all like a good party in Talkboy but personally, I increasingly get the feeling that I should be having way more fun than I am or that I should be way closer to the people around me than I am. I think that a lot of people go through the motions at social gatherings, to try and keep up appearances or whatever, whereas if they just let go of that kind of stuff they might have more meaningful relationships”. Talkboy’s Over And Under is out 2nd November and will be available via all digital platforms.